When he was merely King Charles, one of Charlemagne’s family feuds involved his ex-father-in-law, along with his widowed sister-in-law and her young sons, and the fate of the Church hung in the balance. On his deathbed in 768, King Pepin followed Frankish custom and split the realm between his surviving sons, Charles and Carloman. Charles was 20, and Carloman was 17. Both were married to Frankish women Pepin had picked out for them. The brothers did not get along. Charles put down a rebellion in Aquitaine in 769, with no assistance from Carloman. The queen mother, Bertrada, intervened and worked to ensure peace between her sons along with their cousin, the duke of Bavaria, and Lombard King Desiderius, one of whose daughter was the Bavarian duchess. This was a time when marriages were a means of diplomacy, and in 770, Bertrada was arranging a marriage between Charles and a Lombard princess. In the summer of that year, Pope Stephen III wrote an impassioned letter to both brothers urging them not to marry her. In 770/71, Charles divorced his first wife, the mother of his eldest son Pepin (also called Pepin the Hunchback), and married the Lombard princess. 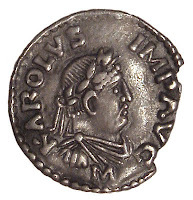 Shortly after Carloman died (December 4, 771), his widow, Gerberga, fled to Italy with their two young sons. Meanwhile, Charles divorced the Lombard and married Hildegard, whose father ruled over land that used to be in Carloman’s kingdom. Like his father, Charles seized land from his nephews. In 772, the same year as Charles’s first war in Saxony, Desiderius was trying to get Pope Stephen’s successor, Hadrian I, to anoint Carloman’s sons. The Lombard king seized papal cities and threatened Rome. The pope asked Charles to fulfill his father’s oath as patrician of Rome and come to his aid. 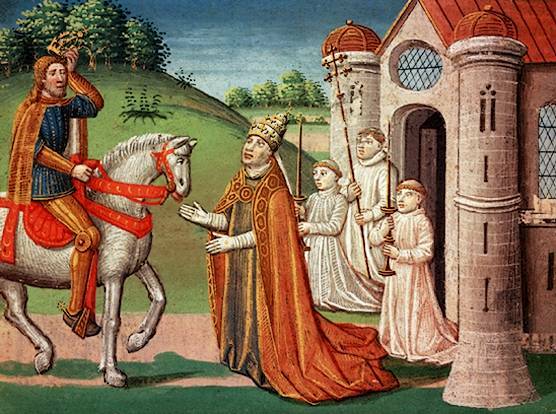 After attempts to bribe Desiderius failed, Charles crossed the Alps in the fall of 773. Desiderius fled to Pavia, while Gerberga and her sons fled to Verona, accompanied by Desiderius’s son, Adalgis. Charles laid siege to Pavia, then took a smaller force to Verona, where Gerberga surrendered voluntarily. Adalgis escaped and became an official in the Byzantine court, and years later, he would cause trouble for his ex-brother-in-law. Charles returned to Pavia. As the siege wore on, he visited Rome at Easter, presumably seeking divine intervention. He finally won after a year-long siege, seized the Lombard crown, and sent Desiderius, his wife, and a daughter to the cloister. History is silent on the fate of Gerberga and her sons, yet one can reasonably speculate they, too, ended up at an abbey. After all, it is how Charles’s two other family feuds ended, one involving his eldest son, Pepin; the other with the duke of Bavaria and his family. Kim Rendfeld is the author of The Cross and the Dragon, a love story with a twist set in the earlier years of Charlemagne’s reign, to be published by Fireship Press. 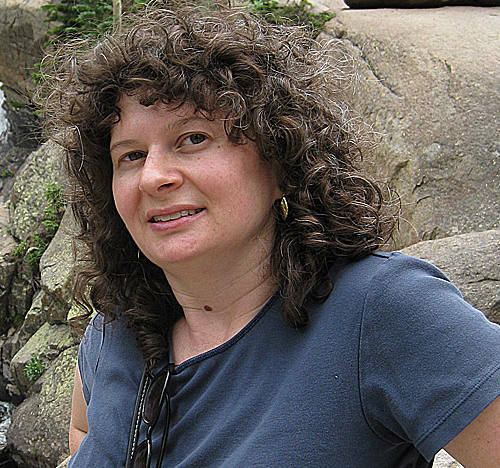 You can learn more about Kim and her fiction at her blog, kimrendfeld.wordpress.com, or website, www.kimrendfeld.com. This is Kim's first guest post at Unusual Historicals, and we are delighted to feature her contribution!